Has your elderly mom or dad recently been hospitalized for a bone fracture sustained in a fall? If so, they are among the millions of seniors that break a bone each year, causing trauma, stress and additional health complications. Family caregivers with elderly relatives that have a fractured bone may not understand the magnitude of the injury and overlook the amount of in-home care their aging loved one needs. Don’t make the same mistake and instead, line up a senior care provider to help your elderly mom or dad with their recovery. While all broken bones take several weeks to heal, it’s common for fractures to take nearly twice as long in aging adults. That’s because the bones are not as dense, due to age-related conditions like osteoporosis. An elderly person’s body also takes longer to heal from the trauma of a broken bone. Other effects of the fracture might include poor circulation to the area, tissue damage and the development of an infection. Some elderly adults may require surgery to repair the break, such as with a broken hip, which can add to the senior’s recovery time. After the senior’s initial treatment of the broken bone at the hospital, many doctors recommend a stay at a short-term rehabilitation center for basic recovery. After a few days or a week, they release the elderly adult to return to their home. It’s then your responsibility to see that your elderly mom or dad has the in-home care they need to continue to heal properly while focusing on mental health, physical therapy, and pain management. An in-home senior care provider is ideal in this situation. Senior care providers are professionals with experience and training to help aging adults with physical or mental disabilities. Whether short-term or long-term, aging adults with broken bones will need someone who can help them out with all kinds of daily tasks, such as cooking, cleaning, laundry, meal preparation, and even pet care. As the aging adult struggles with physical limitations, discomfort, and pain, the senior care provider is right there with them to help as needed. In the first weeks and months of recovering from a broken bone, you can schedule the senior care provider for as often as needed. As your aging mom or dad regains some abilities, you may be able to scale back the hours that the senior care provider should be there. However, it’s a mistake to shortchange your aging parent’s need for someone to be around to assist both physically and mentally. The companionship aspect of senior care providers can be quite valuable in their healing as they have someone to keep their mind off their pain and suffering. You can do a lot of things for your elderly parent who is recovering from a broken bone, but unless you are in a unique living situation, you probably can’t spend all day every day with them as they recover. When your aging mom or dad needs in-home help, investigate hiring a senior care provider to make the process easier for them. 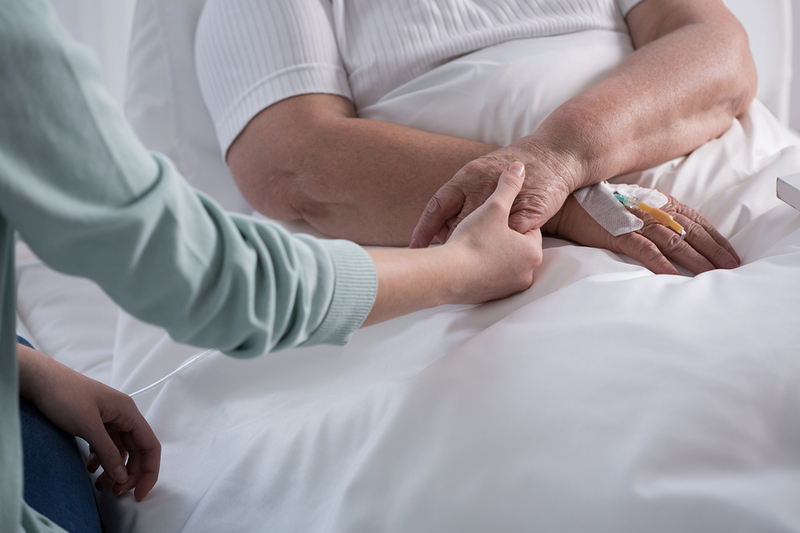 As a practicing Registered Nurse, Etelka was keenly aware of a void in quality patient care that could be provided in the home. She embarked upon a journey to develop a home health care agency that would exceed all expectations and become a trusted partner to physicians and patients. Etelka’s distinguished career followed a logical progression to her position as President of Home Services Unlimited. She graduated as a nurse practitioner with a Bachelor of Nursing (RN) in 1972 from Meshgorya University in the Ukraine, close to where she lived with her family. She married her husband Phil in 1973 and decided in 1977 that they would relocate to the United States to be closer to family and to come to this land of opportunity. With an eagerness to continue her budding career, Etelka sat for and passed her Boards in the U.S. in 1979. Etelka began her nursing career in the U.S. at Colonial Crest, now part of Golden Living, where she was the In-service Coordinator, the Director of Training and Education and Director of Nursing, a position she occupied for several years. With a group of partners, she co-founded Adept Corporation, which operated group homes for the mentally challenged. The business was successful and in 1996, Etelka sold her share to return to her roots, caring for the elderly. In January of 1997, Etelka opened Home Services Unlimited as a fully licensed business to provide home health care. In her quest to learn to do better for her patients, she had already obtained a Masters in Healthcare Administration (MHA) in May of 1990 from the College of St. Francis. As President of Home Services Unlimited, Inc., Etelka guides the trusted, experienced care model Home Services Unlimited uses to continue providing excellent home health care. Volunteering for community services is a high priority for Etelka. Her memberships include the Indiana Association of Rehabilitation Facilities, Executive Women in Health Care and the Indiana Association for Home and Hospice Care, where she is a member of the Board of Directors. Etelka has also served on the Board of Directors with Hooverwood Home, a highly regarded geriatric facility, since 1997 and as the President for 2005-2006. Through her community work, she has received several awards and accolades, including the Nora McFarland award in 2002, from the Indiana Association of Home and Hospice Care.